The set consists of a buckle, belt loop and belt tip. 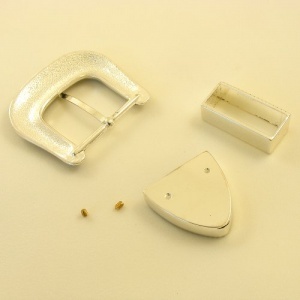 *The belt tip is fitted using two tiny screws which are included in the set. You will need a very small straight head screw driver to fit these screws. 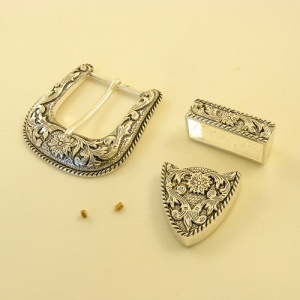 Silver Plated 3 Piece Buckle Set 38mm 1 1/2"